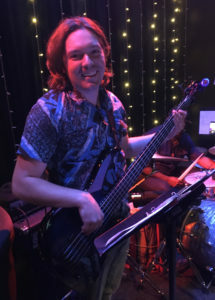 Alexander Gates has been touring the world performing having been to over forty countries playing electric bass and contrabass. 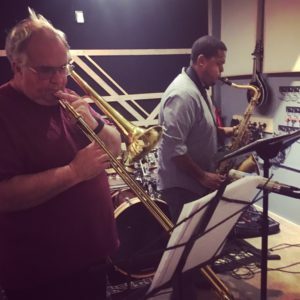 In his early days; Gates started out playing local gigs around the Portland, Oregon area and then formally studied at the University of North Texas where he received his degree in Jazz Studies and was Nominated for a Down Beat award for best Jazz vocal group. This brought him domestic and international opportunities to play with master musicians including Dave Brubeck, Blue Lou Marini and Massamba Diop. Alex is currently back in Portland where he is busy performing and recording with several local acts such as World Beat Collective, Shvvvr, POPgoji, Argyle, Walo Walo, Tap Water and Wamba World Beat Band. Be the first to get Shvvvr music project updates and early access to supporter perks when you subscribe to our newsletter! Copyright © 2019 shvvvr music project. Powered by WordPress and Stargazer.